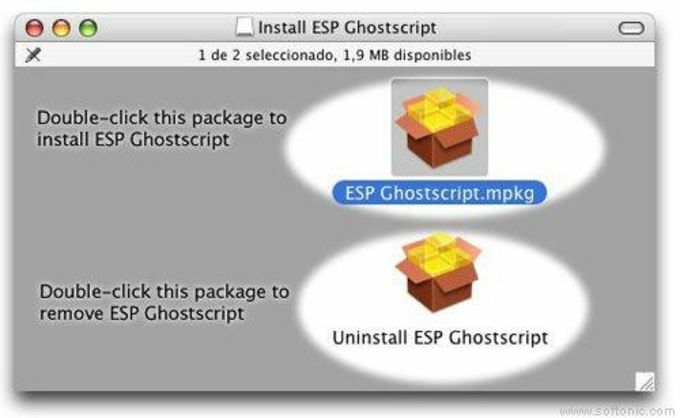 Ghostscript is an amazing, free (gpl) program only available for Mac, belonging to the category Utilities with subcategory Text (more specifically Converters) and has been created by Solar Model. Since we added this software to our catalog in 2011, it has managed to obtain 65,512 downloads, and last week it achieved 18 downloads. About the download, Ghostscript is a light program that requires less space than the average program in the section Utilities. It's very heavily used in China, Italy, and Sri Lanka. This software is available for users with the operating system Mac OS X and former versions, and it is only available in English. The current version of the program is 7.07.1 and it has been updated on 8/09/2012. Too difficult to find. This is way too hard to find the download. Why does it keep bumping me back and forth between two windows?!!! What do you think about Ghostscript? Do you recommend it? Why?